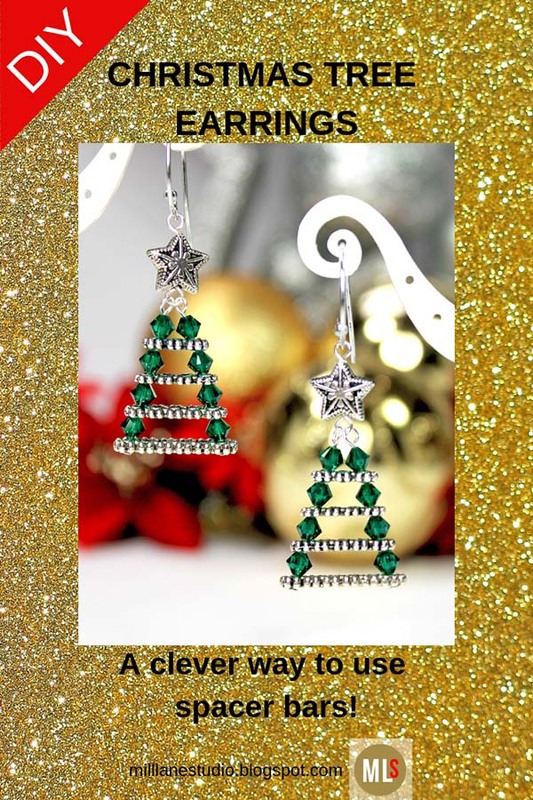 Today we begin the second half of the Twelve Days of Christmas Earrings Extravaganza. As we draw closer to Christmas we all realise that we're running out of time to do all the things we'd like to get done before Christmas so it's timely that I have another really quick pair of Christmas earrings for you. 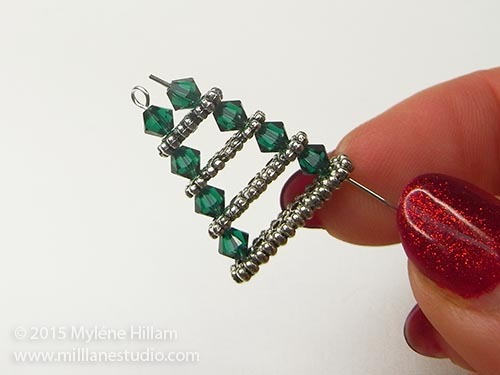 Evergreen Christmas Trees are made with multi-holed spacer bars (I love to use jewellery findings in unexpected ways!) 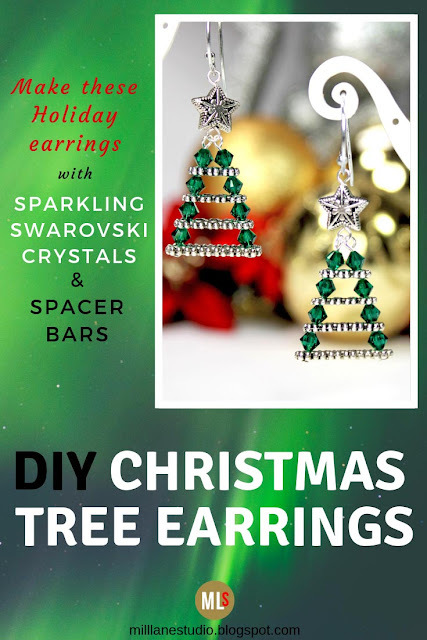 and some Swarovski crystals to give the trees sparkle. 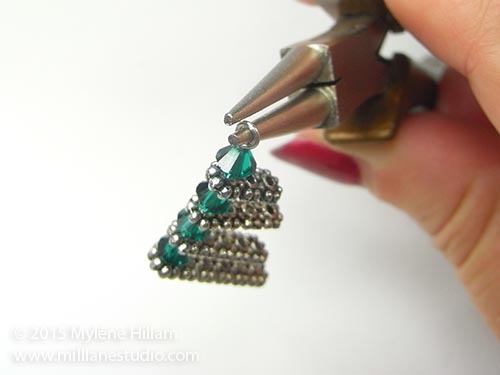 You can make this pair of earrings in under half an hour. 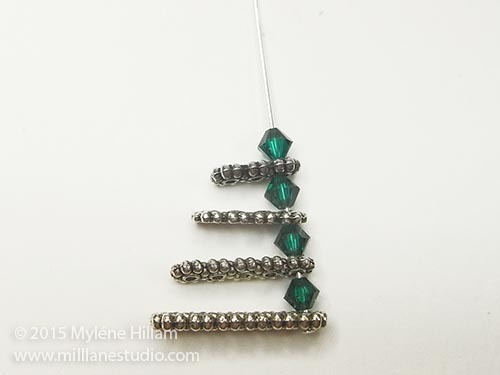 String the first hole of all the spacer bars on a head pin, graduating from largest to smallest and alternating with the Swarovski bicones. 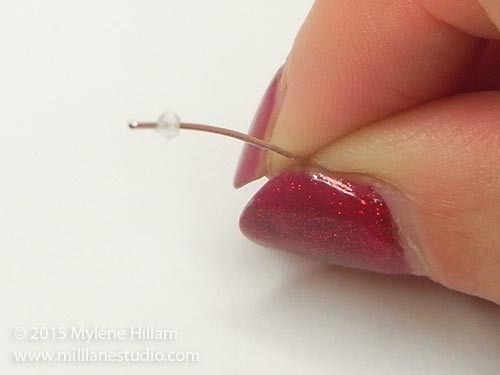 Bend the head pin at a 90° angle just above the last crystal. 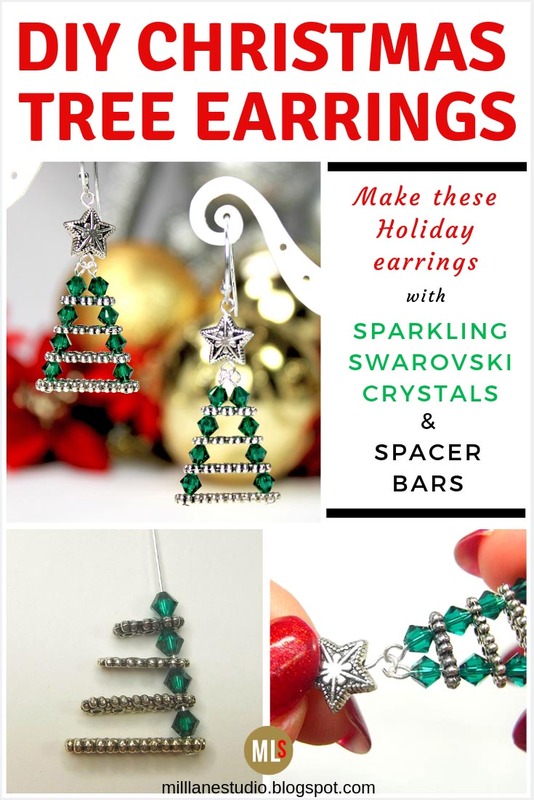 Insert a head pin through the last hole of the spacer bars and add a crystal in between each layer on the other side of the tree. 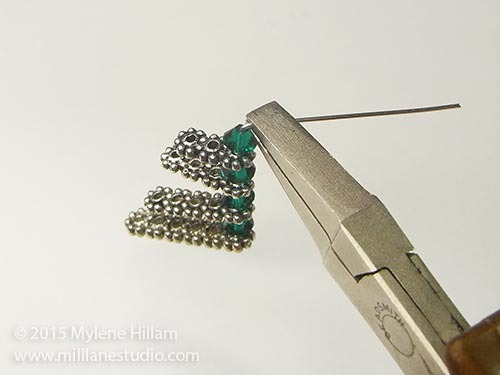 String the earring stopper on an eye pin. 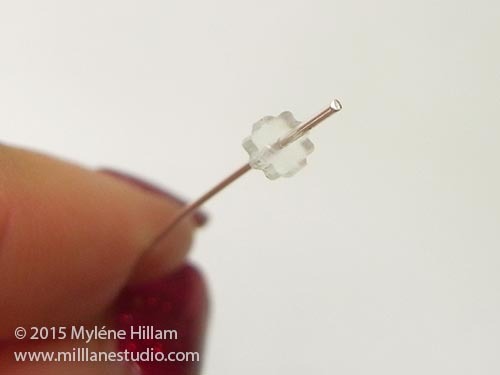 .....until it is small enough to fit firmly inside the star bead. 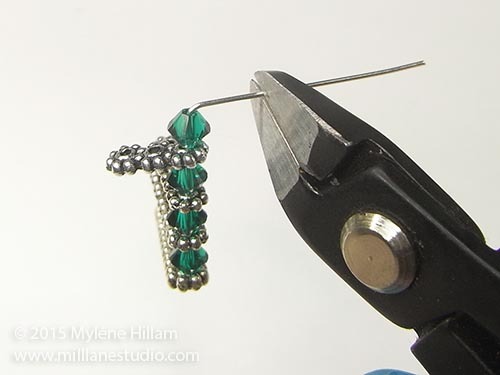 ....and then push the earring stopper inside the bead. 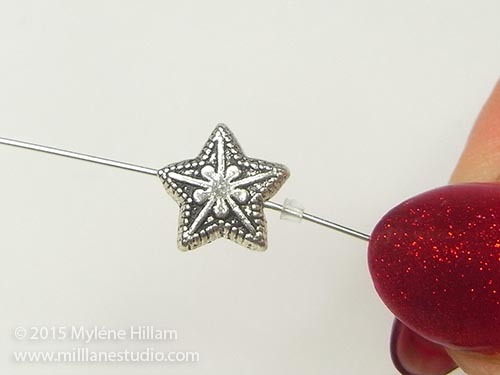 Slide the star down to the loop of the eye pin. 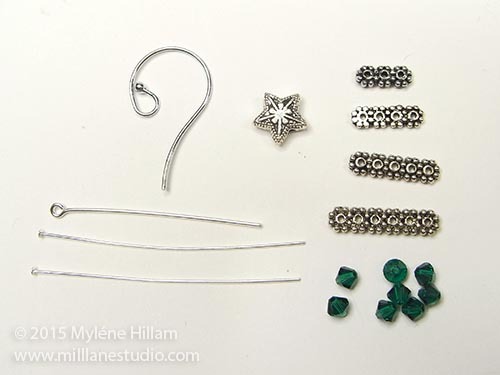 The stopper will help prevent the star from spinning aroung whilst you are wearing the earrings. 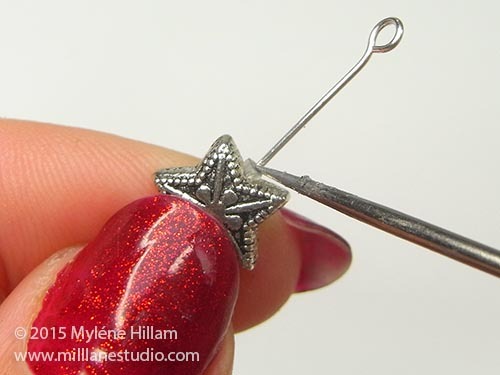 Bend the eye pin above the star at a 90° angle, trim it to 1cm (3/8") and turn a simple loop. 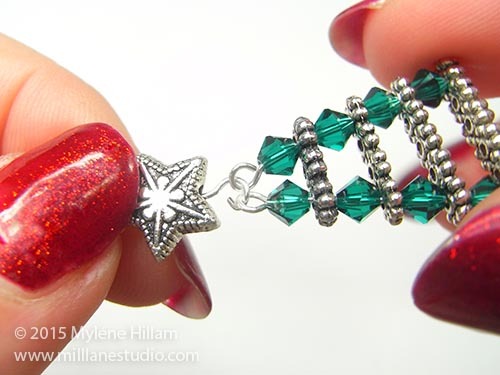 Open the bottom loop of the star and hook on the two head pins from the Christmas tree. 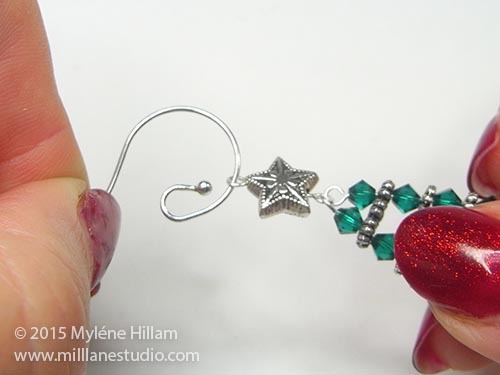 Hook the tree onto the earring wire and close the loop. 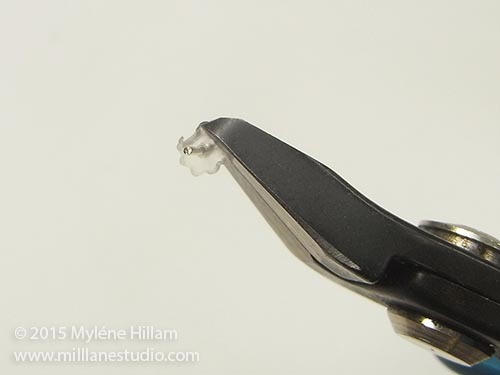 How easy was that? 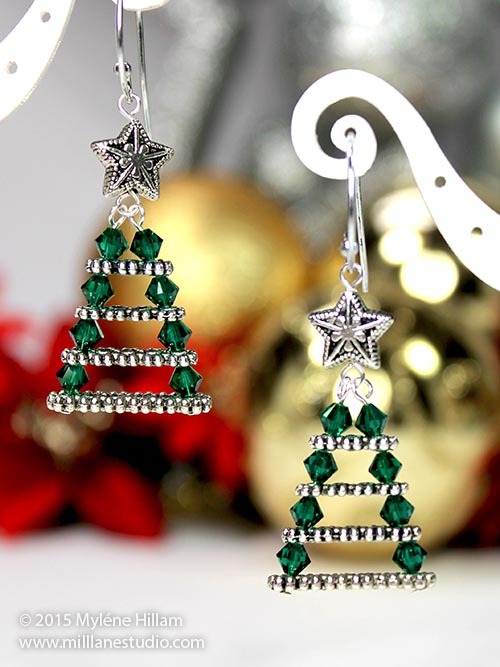 Now you have a festive pair of Christmas tree earrings to wear to your next party.